Over the next three years, Iran will add more advertising dollars than any of the other countries included in Zenith's Thirty Rising Media Markets report. Zenith predicts that ad spend in Iran will grow by $713m (£514.4m) between 2017 and 2020, to reach $2.1bn in total. This represents an average annual growth rate of 15%. 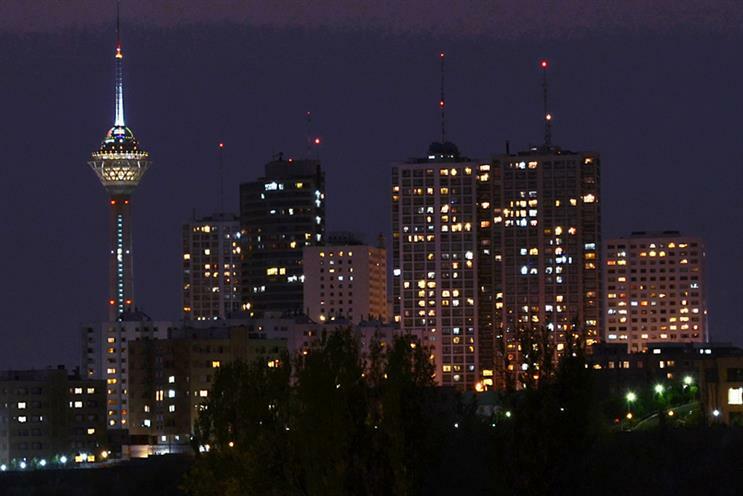 The lifting of international sanctions in January 2016 kick-started Iran’s economic growth providing a powerful stimulus to the local advertising market. This stimulus depends on continued growth in trade and investment, and is subject to political risk, notes the report. If the sanctions were to be re-imposed, this growth would come to a halt. To compile this report, Zenith identified 30 up-and-coming advertising markets that are developing quickly and are starting to rival the scale of some of the established 81 markets. Some of the 30 rising markets have already attracted interest from multinational advertisers and global agency groups, and others are opening up to international advertising for the first time. These markets vary widely in population, diversity of economic activities and productivity, but their economies are all growing rapidly, in the long run at least, and their advertising markets are growing even faster. After Iran, Bangladesh is the next fastest growing ad market. Zenith expects media spend in the country will grow by $457m between 2017 and 2020, to reach $1.3bn. It too is expected to grow an average of 15% a year. Bangladesh’s economy is growing at a healthy 7% a year, and with over 160 million inhabitants it is achieving substantial scale. By 2020 Bangladesh’s ad market will be more than twice the size of Pakistan’s, although Bangladesh has only 80% of Pakistan’s population. Overall, ad expenditure in these 30 markets totalled $9.7bn in 2017, 12.7% more than in 2016, while the global ad market as a whole grew by 4%. Over the next three years, Zenith expects them to grow at an average rate of 12.4%, three times faster than the world average growth rate of 4.1%. By 2020, the report forecasts that these markets will generate a total of $13.8bn in advertising expenditure, having grown by $4.1bn since 2017. Nearly a third (29%) of this growth will come from Iran and Bangladesh. In percentage terms, the fastest-growing markets are in Africa and South Asia. Zenith predicts an average annual growth of 19% in Angola, and 18% in Myanmar and Ethiopia. Tanzania, Bangladesh and Ghana are also expected to show strong annual growth at 15%. "These 30 rising ad markets may be small now, but they are rapidly becoming richer with fast-growing demand for consumer goods," Vittorio Bonori, Zenith’s global brand president, said. "They have great potential for brand growth for early entrants, which have the opportunity to establish their brands with relatively little competition." These markets are growing too big to ignore, Jonathan Barnard, Zenith’s head of forecasting and director of global intelligence, agreed: "By 2020 they will collectively overtake the adspend in Australia, the world’s seventh largest ad market." The 30 countries included in this report are: Algeria, Angola, Bangladesh, Bolivia, Cambodia, Cameroon, Côte d’Ivoire, Cyprus, Dominican Republic, Ethiopia, Gabon, Ghana, Guatemala, Iran, Jamaica, Kenya, Mongolia, Morocco, Mozambique, Myanmar, Namibia, Paraguay, Senegal, Sri Lanka, Tanzania, Togo, Trinidad and Tobago, Tunisia, Uganda and Zambia.